Kerryn Warren (right) excavating, Angharad Brewer Gillham (left) documenting. Photo by Dirk van Rooyen, courtesy of University of the Witwatersrand. There are times in your life where you find yourself wanting to question all your life choices, but you only have a nanosecond to do it in, so you don’t bother. You just sit there, the lingering sensation of dubious decisions floating about your frontal lobes, and then you get on with your day. Or, in my specific case, you insert yourself into a 12m-deep vertical chimney full of sharp squeezes, disconcerting open spaces, jagged pieces of rock to catch your overalls on, and worryingly little space to put your head, all in order to get to the excavation at the bottom. “No,” I agreed, groping for my next foothold. I would have asked myself how the hell it came to this – how I ended up taking a leave of absence from a comfortable desk job in Switzerland to join a subterranean palaeoanthropology dig – but I was too busy looking for the next handhold to engage in philosophical thinking. And in any case, I already knew. As my new friend Kerryn had repeatedly pointed out, none of us got here by accident. Angharad Brewer Gillham. Photo by Mathabela Tsikoane, courtesy of University of the Witwatersrand. When I was 17, I found myself in South Africa at the press conference announcing the discovery of Australopithecus sediba, and fell in love with palaeoanthropology. I still have my notes from the speeches given at that conference. I didn’t understand that this was going to change my life, but I knew it was big, and I knew I was enthralled. I wrote to Professor Lee Berger asking for work experience that summer, and was lucky to be invited to join the Malapa lab at the University of the Witwatersrand for a few weeks, fetching and carrying and taking photographs. I decided that this was what I was going to study at university, and started a degree in Archaeology and Anthropology. And I kept coming back to Wits. Eventually I had to leave – I was only in South Africa because of my parents’ work – so in 2013 I left Wits behind, carrying my undergraduate dissertation research and a rather sad idea that I would probably never be back. I just didn’t see what would bring me back to Jo’burg. Saying ‘never’ is always a mistake, and I have the worst vision of anyone I know. 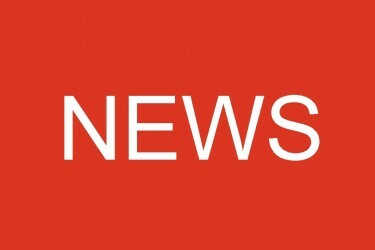 I finished my undergraduate degree at Cambridge, completed a Master’s in Forensic Anthropology at Edinburgh, and started working at an open-access publisher called Frontiers in Switzerland. Somewhere along the way, I started caving, strongly encouraged by Linda Wilson. I was briefly a member of Cambridge University Caving Club, until I realised that spending every weekend down a cave five hours from college was likely to put a major hole in my degree prospects, and after that I stuck to show caves and ‘adventure caving’. I never took it very seriously, but I was always comfortable underground. And I knew for absolute certain I wasn’t claustrophobic, and that I was fit enough to cave well. 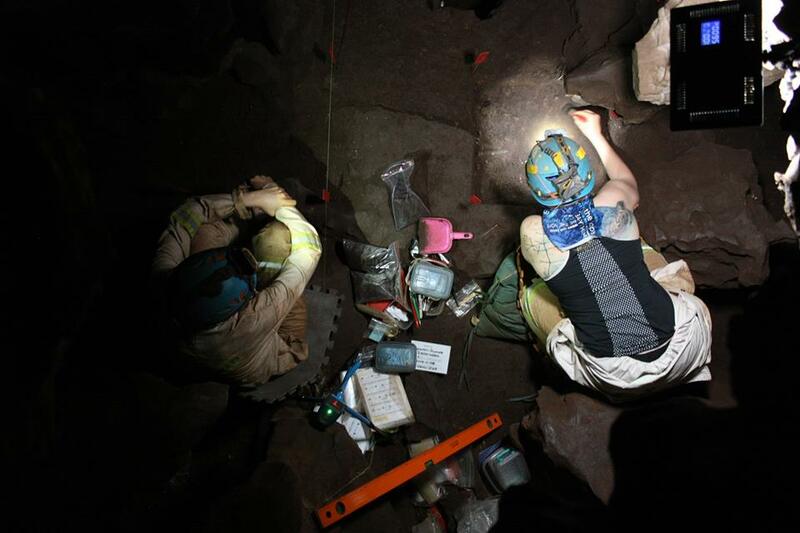 In September 2018, I spotted a call for participation from Lee Berger, looking for new trainees to excavate in the Dinaledi Chamber, deep underground. 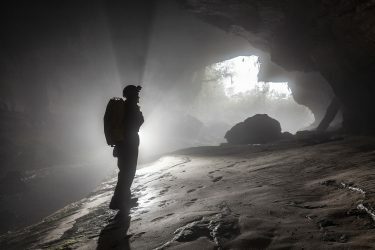 Honestly, I wasn’t sure I was good enough – I count myself as a novice caver, and I haven’t even started a PhD – but I couldn’t shake the idea that I’d regret not even trying. I floated the notion of my applying past one of my old dissertation supervisors, Pat Randolph-Quinney. Pat’s response was enthusiastic, so I wrote up an application and sent it in. And then Bonita de Klerk and Marina Elliott invited me to interview, which surprised me. And then they offered me the job, which shocked me so much I couldn’t talk for about half an hour. I did already have a job, and my workmates were surprised to learn that I proposed to spend three weeks deep underground digging up fossils instead of doing that job, but to do them credit they were all hugely excited for me and very supportive. Almost before I knew it – although that doesn’t do justice to the enormous amount of time I spent on insurance and other paperwork – I was on a plane to South Africa, vibrating with nerves and excitement. The Rising Star Expedition occupies a chunk of what used to be farmland in the Cradle of Humankind. It now houses a simple expedition house with the tremendous luxury of a hot water shower, a boma (a kind of shielded area with a hearth for fires) and a number of small cabins that are basically spacious garden sheds with a window and bunk beds. I’m not selling them very well – they’re actually very comfortable. Given that the 2013 expedition used tents with sleeping bags – much harder to wash than sheets, which is key, given the amount of dirt ground into our skin –and a temperamental solar shower, we’re very lucky. And believe me, we feel it. Angry blesbok have right of way! Drawing by Angharad Brewer Gillham. There’s a certain amount of wildlife onsite: dassies (rock hyraxes), bats and porcupines in the cave, impala, duikers, springbok and blesbok outside it, as well as a trio of Nguni cattle. The impala, duikers and springbok avoid us, but the cows have to be dissuaded from snuggling up to cars and eating laundry. The blesbok, in the meantime, are using us as a chess piece in their complex social life. There is a young male, and the older male – the dominant male in the herd – is not a fan. As a result, the young one keeps being chased around the property by the boss, and has developed a cunning strategy of hiding behind our expedition house to escape. This sometimes works, sometimes doesn’t, and sometimes means we have to shut the front gate sharpish in case he makes a bid for freedom. 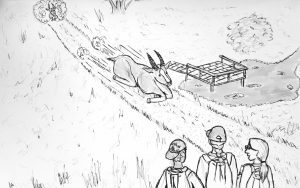 In any case, we try to stay out of it – angry blesbok have right of way. All the trainees arrived on the same day, and settled into our accommodation and our new working environment, which is a very fancy way of saying that we all had to pick a space and that someone got to be the poor unfortunate who showered first and discovered that the newly-installed bathroom lock was sticky. As a strategy for settling into a new workspace, I don’t recommend having to be rescued from the shower by one of the senior scientists. It is embarrassing. Most people had had to travel some way to get to the Cradle of Humankind. I didn’t even have the most impressive journey – Becca Peixotto came all the way from Dallas. Becca and Marina therefore postponed our first trip into the cave system until the next day, when they could issue kit to us, make sure it fitted and worked, and then inflict us on the cavers helping to shepherd us through the system. Most of us had no caving experience at all, so this was bound to be both entertaining and instructive for all involved. The Rising Star system is well-known to recreational cavers in the Gauteng area – a region which encompasses Johannesburg and Pretoria, in the northeast of South Africa – and has been for a long time. Steven Tucker and Rick Hunter found the Dinaledi Chamber and its fossils while poking around the already well-known Dragon’s Back in 2013, and brought it to Professor Lee Berger’s attention. 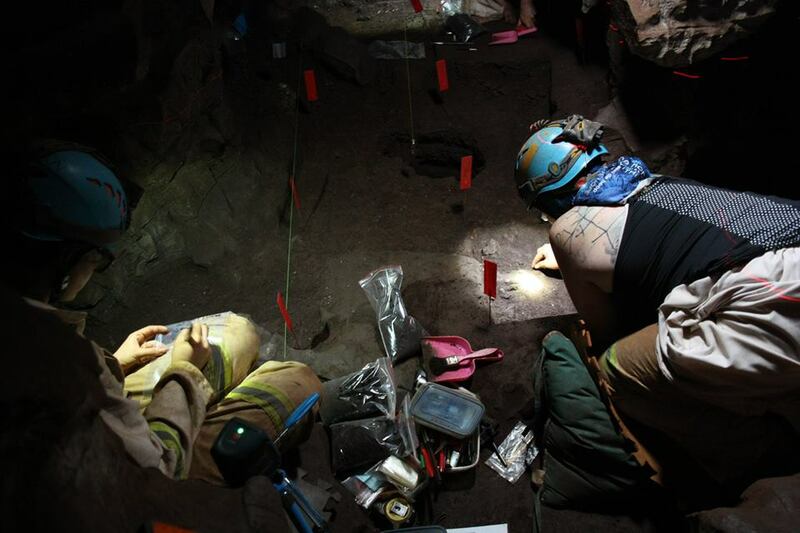 Within weeks, a team of excavators with the background and the skills to get into the cave (and out again) were working on unearthing the fossils Steven and Rick had found. The rest of the cave system is well mapped and parts of it are a solid novice trip. However, it also has some challenges, and spaces that anyone with even a hint of claustrophobia would hate. As Marina, Rick and the others pointed out to us, a major part of moving in this space is mental, not physical. If you assume you can’t do it, you definitely won’t. It was this mental capacity they wanted to test as much as the physical. Are you willing to go sideways and downwards into a spiky crack in the rock, then shimmy round on your front until you can wriggle through a squeeze at right angles to the crack you originally started with? Also, how do you react when the inevitable happens and your body is not compatible with the obvious route through an obstacle? What makes you panic? And what happens when you do? The Dinaledi Chamber is pretty inaccessible. If anything happened down there, even something as simple as a twisted ankle, getting out again would be exceptionally difficult. Luckily, there have been very few injuries, but it’s not an environment in which it’s worth taking risks. Allowing someone who panics in a difficult situation to try accessing that chamber constitutes a major risk. Becca, Marina and the cavers weren’t just entertained by our responses to Ballerina’s Passage, the most challenging of the narrow passages we tried – our reactions were useful data. In theory, one should go through this passage on one knee, with the other leg trailing straight behind like a ballet dancer’s arabesque, but whether this works or not depends on an individual caver’s dimensions. Our approach gave them valuable information, and showed them if we were as comfortable in a cave as we’d said we were, or as we believed ourselves to be. I thought it was fun. It actually felt like rediscovering how much I enjoy caving, a pastime I haven’t made as much room for as I should. I was less comfortable with the navigation exercise, since my sense of direction compares unfavourably with a concussed earthworm’s, but with teamwork I managed – with only one mishap, where Kerryn and I assumed we had overshot and we hadn’t. “Are you following us just so you can laugh when we get it wrong?” I asked Rick, who was trailing us around and making sure we didn’t run face-first into a porcupine. “Would I do that?” Rick replied, unconvincingly. “Yes,” Kerryn and I chorused. “Yeah, probably,” Rick admitted, and watched as Kerryn and I combed the wall of the cave for any sign of a passage. We’d actually considered and discarded the correct passage as a possibility ten minutes previously. I don’t think our navigation was altogether impressive. The cavers also spent 15 minutes perched on various boulders watching us investigate multiple small horrible holes, while completely missing the small horrible hole we needed, which was right next to all the other holes and was only different from them in that it went up not down. Still, it gave them more background on our ability to handle caving, and, importantly, our teamwork. 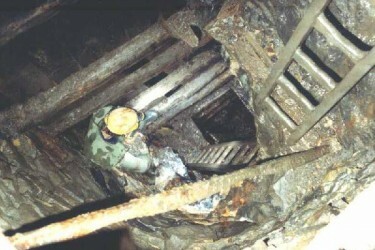 You cannot tackle any element of an excavation like this alone. And if you can’t work with someone, not just your work but also your safety is compromised. In order to fulfil their duty of care – and to avoid any unpleasant incidents they’d then have to deal with – Marina, Becca, and the cavers needed to know that we could work together. Preferably without getting lost. The second day, they took us to the actual Dinaledi Chamber. This trip was a lot more challenging for me personally – I’m less comfortable with SRT than I am wriggling through small gaps. The small gaps have less potential for falling and fewer bits of harness to wrangle. The Dragon’s Back, the section where SRT is required – the harnesses are a liability the rest of the time, including the short trip from the entrance, so they are kept in the cave itself – is probably the scariest-looking part. It’s essentially a narrow, jagged chasm between a solid wall and a thin spine of rock that rises from the floor like the eponymous dragon’s back. The aim is to get up the spine of rock, pressing yourself against the wall for leverage, then take a large step over a worryingly deep drop (the Leap of Faith) and crawl through a narrow passage, some of which has not got much floor, until you reach the Chute. Formerly, a hand ascender was used to get up the Dragon’s Back, but this has been replaced with a simpler line that the excavators hook onto and use as a safety. If the Dragon’s Back looks the scariest, that’s only because much of the Chute is not visible. I tend not to think about it too much – when I’m actually there I’m too busy to worry about anything besides locating the nearest handhold, and when I’m not there, worrying about it is counterproductive. There is very little room in most of the Chute to turn your head and see what you’re doing; the first time, climbing down was an act of faith powered largely by the fact that I had seen footage of the 2013 expedition and knew that logically, getting down must be doable. Every time I post myself into the Chute and hope to deliver myself safely onto the ladder below, I wonder how on earth Steven and Rick did it that first time. The only positive thing about the Chute (as far as I and Keneiloe are concerned – Kerryn thinks it’s fun) is that it’s difficult to fall, for the first two-thirds. Where the footholds and handholds are not forthcoming you can wedge yourself into the limited space available, and devote a few moments to cursing 1) your life choices, 2) your core muscles and 3) the rock that your back pocket has just caught on. The last section is the hardest, because it has the fewest handholds and places to wedge yourself. This also makes getting back up again quite a trial. I personally have one shin-shaped foothold which is largely responsible for levering me into the bottom third of the Chute, and which is also the culprit for 75 per cent of the extensive bruising on my left calf. These two facts are connected. Of the trainees, I was the first to get into the Chamber. It was a strange feeling, getting into this cave that I’d heard so much about. It wasn’t just that I was overwhelmed by finally being there, by sitting in the chamber 1500 fossils of a new species had been retrieved from, where I was expected to find and excavate more fossils. It wasn’t just that I was recovering from the adrenaline rush of getting down the Chute. It was a mix of both – and the fact that I was hungry. 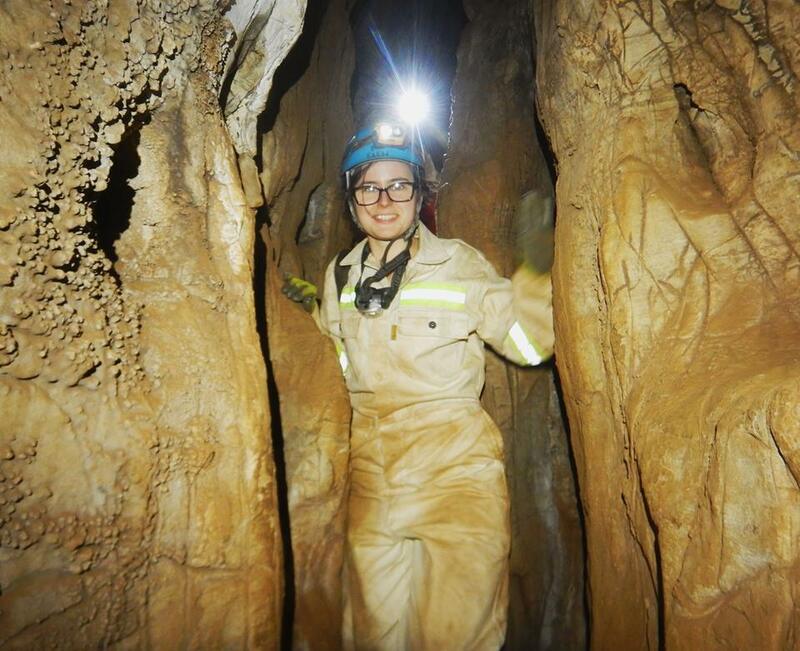 Traversing any cave is physical work; the access to Dinaledi is particularly so. We carry snacks, which are especially useful for finding a little calm after a trying moment. Except that mine were in my bag, on the other side of Dragon’s Back. (Nobody wants a novice caver dragging their bag around Dragon’s Back and the Chute). Angharad Brewer Gillham (left) and Kerryn Warren (right), excavating. Photo by Dirk van Rooyen, courtesy of University of the Witwatersrand. I sat there, hugging my knees, while the adrenaline wore off, the wonder kicked in, and the desire for a snack set the tempo for both. I was there. Really there. I’d been struggling to believe I would really be doing this for weeks, but I couldn’t disbelieve the flowstone and clay of the Chamber itself the way I could disbelieve in my own words; I couldn’t doubt the flags and remains of the previous grid system the way I could doubt my own abilities. Sitting on that rock was a breathless moment. Dinaledi is remarkably well hooked up for communications – we have cameras, intercoms to the surface and even wifi – and I can see myself on the camera footage, looking like I’d just stepped through the back of a wardrobe into Narnia. I didn’t care how scared I was of the Chute, or how much it worried me that Dirk had to give me a boost to get me out of there – I wanted to be able to do it by myself, for safety reasons. I was going to get back in there the moment Marina and Becca let me. Two observations sum it up: Professor Berger, watching me on the camera and narrating it for Twitter, smilingly saying that I looked pretty happy to be there. And Kerryn, who laughed at me when we were all out. Well, what can I say? Neither of them was wrong.